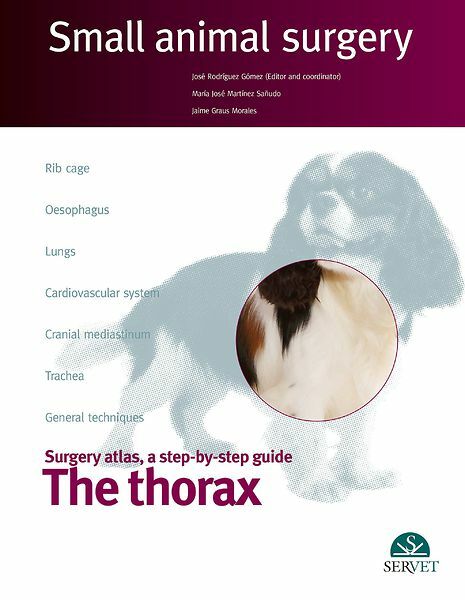 This new volume of the collection presents the anatomical region of the thorax. It describes the most common surgical procedures, for instance the thoracotomy or the placement of a thoracic drainage; and also the most complex ones like the placement of a transvalvular patch, the extraction of oesophagic foreign bodies, tracheal collapse treatment or innovative techniques such as cardioplasty in idiopatic megaesophagus cases. The high quality of its images, some of them come with diagrams and illustrations, allow an accurate description of the pathologies and their etiology.